Spinal decompression is a term that describes the relief of pressure on one or many pinched nerves of the spine. The practice is promoted as safe and effective without the normal risks associated with invasive procedures such as injections, anesthesia or surgery. 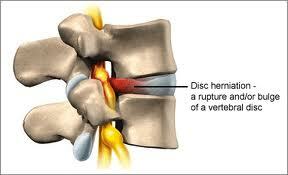 and has a high success rate for decreasing or even eliminating pain associated with herniated or bulging discs. It is a non-surgical, traction type of therapy for the relief or elimination of low back and leg pain or neck and arm pain. During Triton DTS Decompression Therapy, the injured area is distracted and relaxed at specific intervals, and with proper positioning of the patient and the harness, a spinal disc can be isolated and placed under Negative Pressure, causing a vacuum effect within the disc itself. During Triton DTS decompression therapy, negative pressure is created within the disc. Because of this negative pressure, disc material that is "herniated", bulging or protruded can be sucked back into the normal confines of the disc, likely, reducing or completely relieving pain. 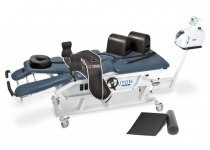 Watch the video below to learn more about Spinal Decompression and our REVOLUTIONARY Triton DTS Decompression Table! To learn more about Spinal Decompression, Please call us today at 661-257-0007!